PRO Scientific offers a range of powerful tissue homogenizers that are designed to handle a wide range of samples making them ideal for all your tissue homogenizing. PRO Lab Homogenizers are an important component of many tissue homogenizing protocols. Manufactured Unlike tissue grinding by hand with a homogenizing pestle, using a PRO Homogenizer with one of our PRO Quick Connect Generator Probes or our Multi-Gen 7XL Multi-Sample Generator Probes to homogenize your tissue samples as part of your tissue homogenizing protocol, guarantees consistent results each and every time. All PRO Generator Probes are precision crafted to ensure efficient and effective tissue homogenization. They are also manufactured out of 316SS to be chemically compatible with your sample and tissue homogenizing protocol reagents. All PRO Homogenizers offer variable speed control with separate on/off switches. Variable speed allows for maximum homogenization or if necessary for preservation of organelles, large molecules and viruses. When the correct tissue homogenizing equipment is selected for your protocol, most homogenization will take a 10-30 seconds. This means, little to no heat will be emitted and your samples will remain at ambient temperature. When there is a concern about samples being kept at sub-ambient temperatures, samples can easily be homogenized in an ice-bath or cooling bead bath. Selecting a PRO Tissue Homogenizer for your tissue homogenizing protocol is easy! PRO Scientific offer convenient homogenizing packages which include everything you need to begin homogenizing. Since a majority of tissue homogenizing protocols call for homogenizing in microtubes, our PRO Micro-Homogenizing Package is the popular choice. 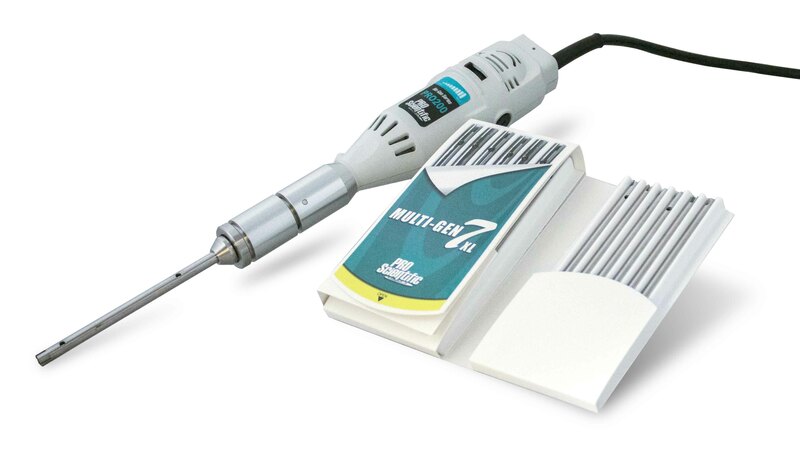 The convenience in selecting our PRO Quick Connect Generator Probes or our Multi-Gen 7XL Multi-Sample Generator Probes, is that they are compatible with a wide range of standard tubes and beakers. So there is no need to buy special beads or vessels, like when are bead-beating. PRO Quick Connect Generator Probes are available to process in tubes as small as .5ml and up to multi-liter processing and our Multi-Gen 7XL Multi-Sample Generator Probes easily process in tubes from 1.5ml-50ml. When you are homogenizing a lot of samples at a time or need to avoid cross-contamination between your tissue samples, a PRO Homogenizer equipped with our Multi-Gen 7XL Multi-Sample Generator Probes are ideal choices for your tissue homogenizer protocol. The Multi-pack design reduces cross contamination risk, by allowing you to process each sample with a clean generator and eliminate cleaning between samples. To help take the guess work out of choosing a lab homogenizer, we have created a variety of PRO Homogenizing Package Kits. 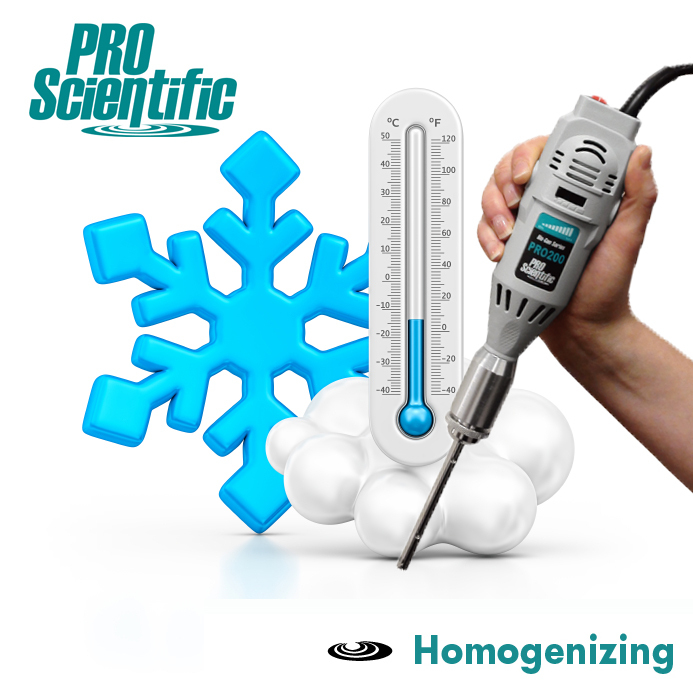 However, when a preselected package would not be ideal for you, PRO Scientific has prepared some Homogenizer Selection questions to assist you in choosing a homogenizer setup that would best suit your lab homogenizing needs.